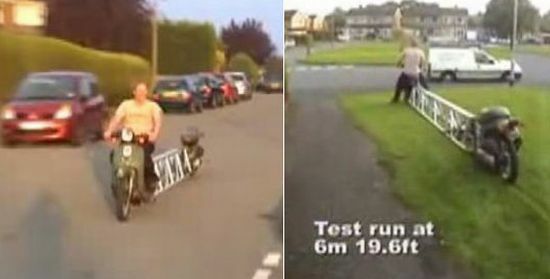 You gotta see the video below â Building the worldâs longest motorbike. Iâve no words to describe the maniac behind this, but, somehow Iâve a feeling that this is gonna rock. Hey, whatâs with the ladder, huh? I wouldnât want my gal sitting behind that! Crazy stuff happening all around â God where the hell are you? Check out the video after the jump. Voice Changer – Play with words!